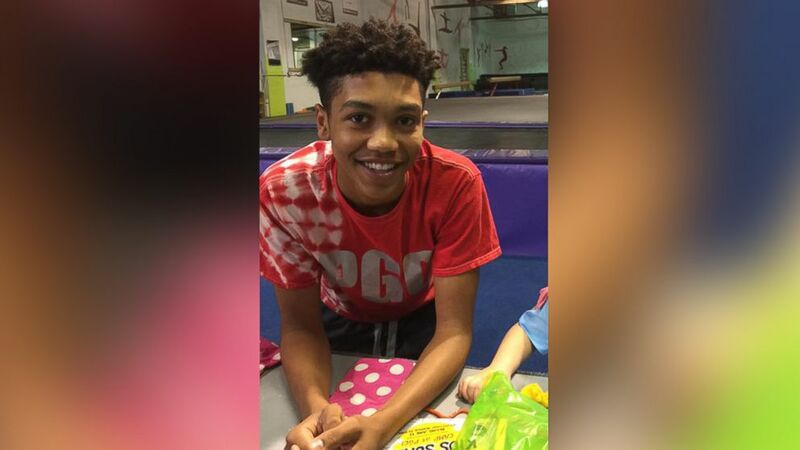 Antwon Rose, 17, was shot dead by an East Pittsburgh cop last week. 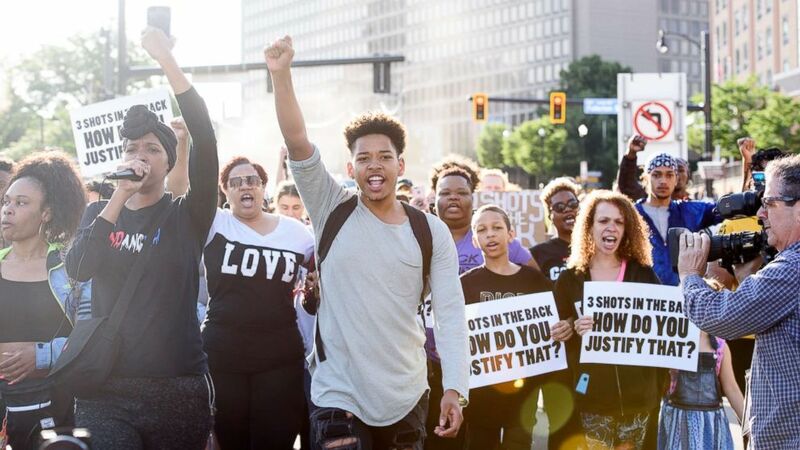 One day after the funeral for Antwon Rose -- an African-American teen killed by police -- determined demonstrators returned to the streets of Pittsburgh. Patricia Bates said she protested Tuesday because of "the injustice and inequality that goes on in the city and all over the world." "I want justice to be served," she said, "and I want to know why? Why [are] you devaluing innocent people and black people in general? Why do you see no value in our lives?" Rose, 17, was shot dead while fleeing an East Pittsburgh police officer June 19 after the teen and two others were pulled over in a car connected to an earlier shooting. Rose's deadly shooting was caught on cellphone video and sparked outrage from his family and community. 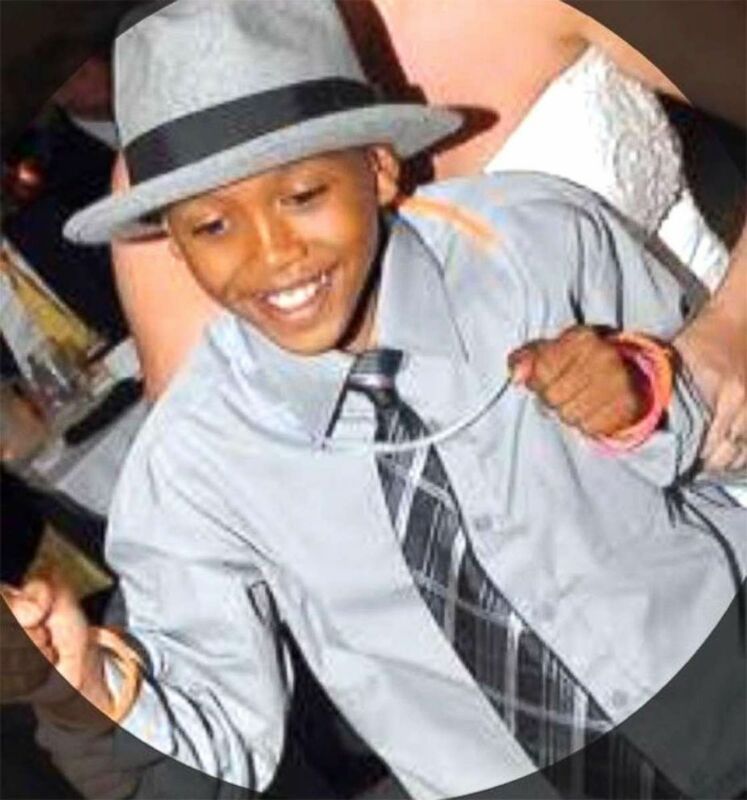 (Antwon Rose/Facebook) An undated photo of 17-year-old Antwon Rose who was shot and killed in Pennsylvania June 19, 2018. (Justin Merriman/Getty Images) Christian Carter, 18, of East Liberty, Pa., leads protesters a day after the funeral of Antwon Rose II on June 26, 2018 in Pittsburgh. 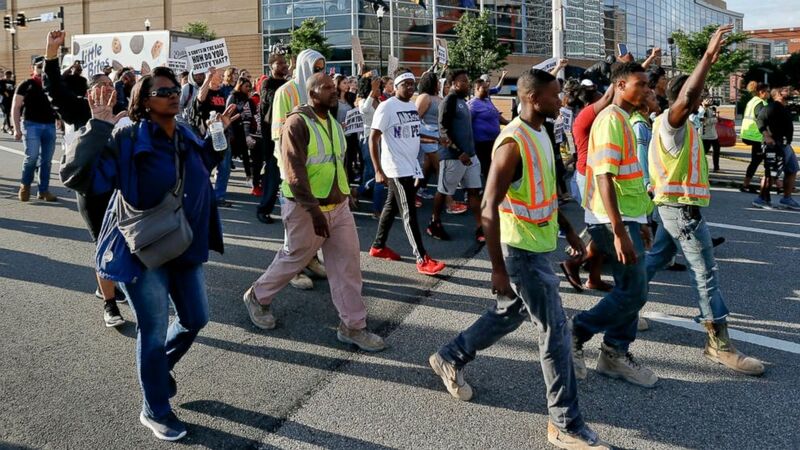 Alexis Hemingway skipped work to join Tuesday's demonstrations, he told ABC News. "It mean everything -- this is history," Hemingway said. "Being an African-American, protesting and marching is a part of our culture and I'm going to be here." (Keith Srakocic/AP) People march to protest the shooting death of Antwon Rose Jr. on June 26, 2018, in Pittsburgh. Rose was fatally shot by a police officer seconds after he fled a traffic stop June 19, in the suburb of East Pittsburgh. (Keith Srakocic/AP) Marchers raise their fists as they protest the shooting death of Antwon Rose Jr. on Tuesday, June 26, 2018, in Pittsburgh. "These are our people," he said. "It's not just a race thing -- it's a humanity thing. And every time someone's murdered and there's no justice, there should be an outcry from everybody." Bates said, "I think this is the most effort we have shown collectively in the city in a long time. I think the momentum of us getting together will thrive and keep going." 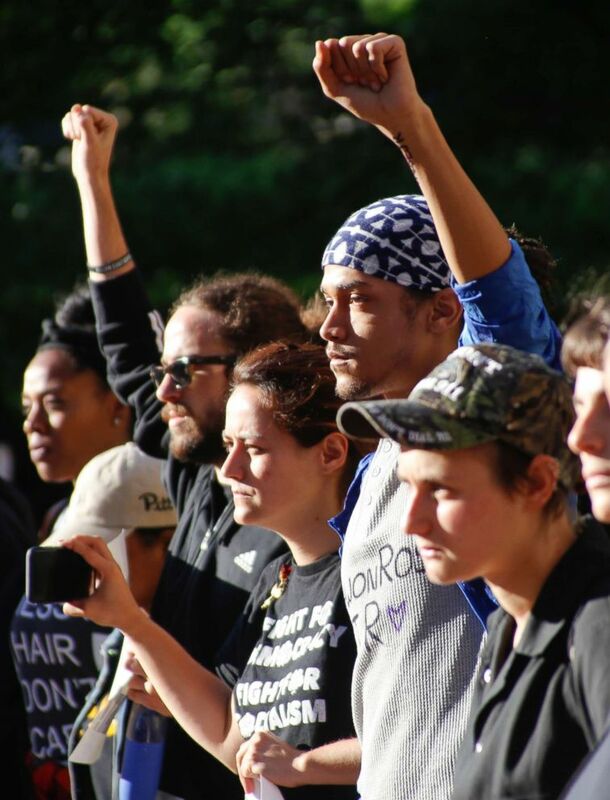 Protests began after the June 19 shooting and halted for Rose's funeral Monday. To prepare for more protests, the Pittsburgh Police Department said all officers will work 12-hour shifts starting Tuesday morning. 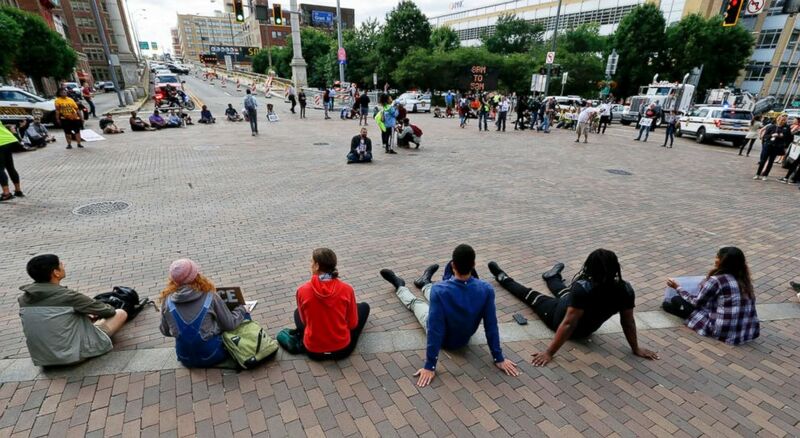 (Keith Srakocic/AP) Marchers sit down at the intersection of Grant Street and the Boulevard of the Allies and stop traffic as they protest the shooting death of Antwon Rose Jr. on Tuesday, June 26, 2018, in Pittsburgh. 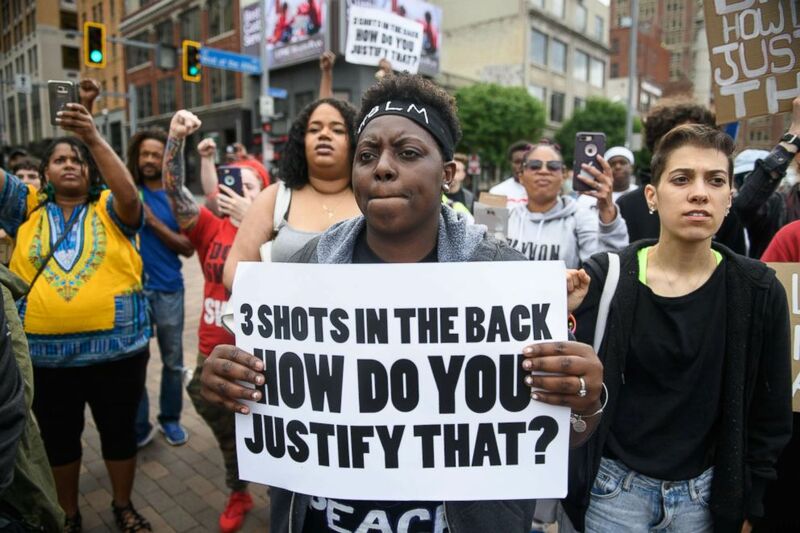 (Justin Merriman/Getty Images) Chantel Wilkerson, 24, of Braddock, Pa., joins a protest a day after the funeral of Antwon Rose II on June 26, 2018 in Pittsburgh. The incident that led to Rose's killing began with a separate shooting about 15 minutes earlier, when someone in a passing car shot and wounded a 22-year-old man, authorities said. "Witnesses described the vehicle involved in the shooting and the description was broadcast" to officers, police said. An East Pittsburgh police officer spotted a vehicle matching the description and pulled it over, police said. The 20-year-old driver -- whom ABC News has confirmed operated as a Jitney driver, which is similar to ride-sharing services Uber and Lyft -- was ordered out of the car and directed to the ground, police said. Rose and another passenger in that car fled on foot, police said, and the officer fired at Rose. 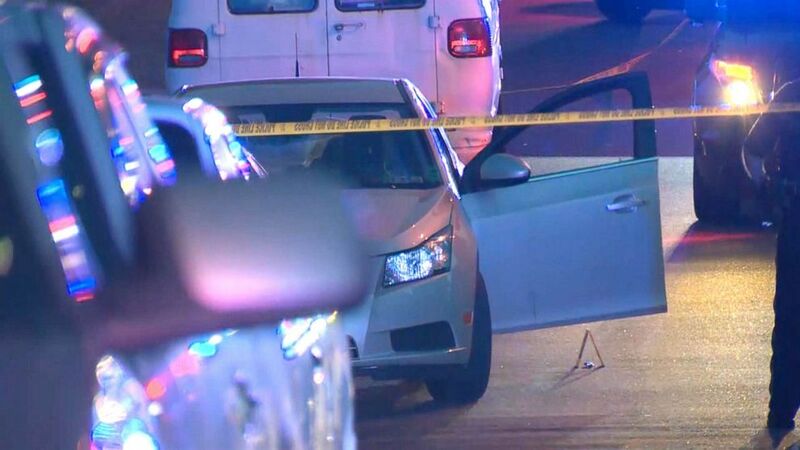 (WTAE) Pennsylvania authorities say police shot and killed a 17-year-old who was fleeing a traffic stop near Pittsburgh, June 19, 2018. The other passenger who ran away at the traffic stop -- also a juvenile -- has been taken into custody, the Allegheny County Police Department said Tuesday. The juvenile has not yet been charged, police said. The driver was detained and later released. Rose was unarmed but he was found with an empty gun ammunition clip in his pocket after he was shot, Allegheny County District Attorney Stephen Zappala told ABC Pittsburgh affiliate WTAE-TV. Two guns were recovered from the car, police added. Michael Rosfeld, the 30-year-old officer who shot Rose, told WTAE he had been with the East Pittsburgh Police Department for three weeks as a part-time officer and was sworn in hours before the shooting occurred. The Allegheny County Police and district attorney's office are investigating. Meanwhile, Rose was laid to rest Monday during an emotional funeral filled with song, prayer, applause and calls for action. (Courtesy The Rose Family) Undated photos of Antwon Rose with family members, courtesy of The Rose Family. "Long before you were a cause, you were my friend, and after the protesters are gone, you are still my friend," one friend said at the service. "Your loyalty was genuine, was sincere. You were there when I needed you." Another friend added, "I always knew Antwon would change the world. Now his smile is all across the country and everyone knows." Michelle Kenney told ABC News in an exclusive interview this weekend that the officer "murdered my son in cold blood." "If he has a son, I pray his heart never has to hurt the way mine does," Kenney said of the officer. "But I think he should pay for taking my son's life ... I never knew that he would be the victim of a homicide ... It's just unimaginable."